TV Weathercasters - Hi, friend Climate and Weather Information, in this article entitled TV Weathercasters, we have prepared this article well and concise to be easy to understand for you to read and can be taken inside information. hopefully the contents of the post that we write this you can understand and useful. okay, happy reading. 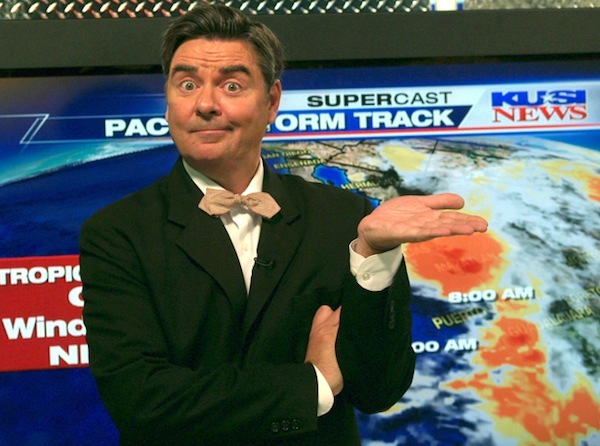 A question that I get asked all the time (including yesterday, which stimulated this blog) is what do I think of TV weathercasters? Who is the best one? And similar questions. The truth is that the quality of these folks vary widely and many are not even meteorologists. And their forecasts tend to follow the NWS closely. One thing is remarkable--the only scientific discipline to have a representative on virtually every news broadcast is MY field---meteorology. Quite an opportunity! TV weathercasters are often consider the station scientific experts...which has its ups and downs as I will note below. I like to use the term TV weathercaster, even though many, if not most, call themselves meteorologists. The truth is that many, if not the majority, are NOT meteorologists...if by that you mean someone who has an actual degree in the subject. They looks good and talk well on TV, which is a real skill, of course. But it drives me crazy seeing people without a real background in the topic call themselves a meteorologist. Should TV medical reporters be called doctors? Or TV financial reporters be called economists? Those with the strongest backgrounds tend to do the weather during the week, with the weaker folks (with a few exceptions, like Shannon O'Donnell of KOMO) doing the weekends. Some of the weekend types are a real problem, point to the wrong features on satellite pictures or misinterpreting the radar imagery (no names!). I teach atmospheric sciences 101 and on several occasions I had asked my students (for extra credit) to write down the forecasts of the TV weathercasters from all of the local stations. Then we did a statistical analysis comparing the TV folks to the National Weather Service (NWS). The result: there was no statistically significant difference among the forecasts. Bottom line: the TV weathercasters don't stray far from the NWS forecasts, and they probably shouldn't. The NWS forecasters have degrees, many years of experience, and are receiving updated training. I occasionally have my issues with NWS forecasts (like a slow update cycle, not wanting to change forecasts too rapidly, and lack of emphasis on strong-range forecasting), but they are experienced pros. And they are willing to go on rotating shift to give us 24-h forecasts, which we all should be thankful. A maddening aspect of the TV weather business is the weather hype that news directors seem to think as mandatory. Here in Seattle, snow is hyper-hyped. 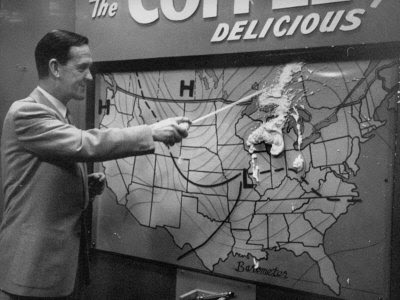 And one station even has a professional weather hyper, Jim Foreman of KING TV, who I love to tease. "Pinpoint forecasts", "County by County Forecasts", "Severe Weather Center", Doppler this and that, you have heard it all! Sometime I would like to visit a "Severe Weather Center"--but perhaps it would be too dangerous. And some of the graphics on air are impressive, but entirely confusing--like the "fly-through" 3D clouds and precipitation animations that are so popular on some stations. The American Meteorological Society has a program to certify TV weathercasters--the AMS Seal of Approval--which has recently been updated to REQUIRE that the certified have real degrees. Other organizations, like the National Weather Association, also have certifications that require less background. Here in Seattle we are very fortunate to have a very good group of TV weather folks. Many have real degrees (from the UW!) including Jeff Renner, M.J. McDermott, Shannon O'Donnell, and Rich Marriott. Steve Pool was not only tutored at the UW (by me), but works closely with Scott Sistek, who got his degree at the UW. Steve has been around long enough to know the local ropes. Scott S. also has a very good weather blog. Rebecca Stevenson took the weather course at Mississippi State and sat through the UW senior weather forecasting class. In short, the Seattle market has very good people, except for some of the unnamed and less experienced weekend folks. 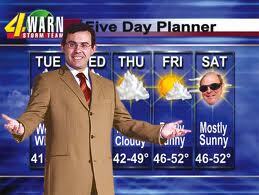 Portland also has some excellent weathercasters, such as Mark Nelsen, who is also a degreed meteorologist. One of the more controversial aspects of TV weathercasting these days is that a small number of them have been energetic global warming "skeptics." An survey of more than 500 TV weathercasters found that one in four of them say there is no global warming, with 27% agreeing with the statement "global warming is a scam". Most of what these people are saying makes no sense, and quite frankly TV weathercasters generally have little background in climate science. My advice--go elsewhere for guidance on this issue. Thank You and Good article TV Weathercasters this time, hopefully can benefit for you all. see you in other article postings.